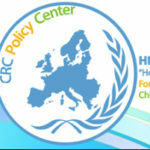 Andromahi Pavlidou is a Clinical Psychologist working as a Family Counselor at “Hope For Children” CRC Policy Center in the context of the Children’s House in Nicosia. She is responsible for providing services to sexual abuse cases, like psychological assessment, therapy and counseling to children and their families. 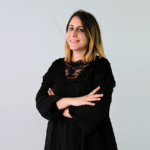 She graduated from University of Cyprus as a Psychologist and then gained her MSc in Clinical Psychology at the University of Nicosia. During her practicum has worked in various mental health services, such as a Counselling Centre for adults and children, a psychiatric hospital, a drug rehabilitation center and a center for people with mental retardation. Her practice included clinical assessments, psychotherapy and counselling. She is a licensed Clinical Psychologist in Cyprus. She has worked as a Clinical Psychologist and officer in the children’s shelter with unaccompanied children, providing psychological support and guidance to the shelter’s residents and other cases referred to the organization. She was delivering workshops to children at schools and lectures to teachers and parents, while she was providing support through the 116111 helpline of the Organization. Andromahi has also worked in a drug rehabilitation community with men and women addicts, providing psychological support and counseling, individual and group psychotherapy and clinical evaluations.